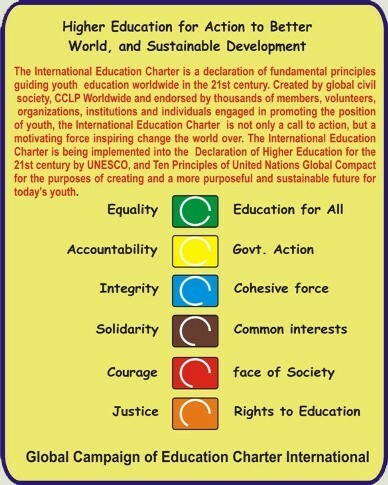 We, Civil Society organizations (CSOs), Governments, Higher Education Institutions and individuals signatories to this Charter, are stakeholders of society that work globally to promote the principles of Higher Education for better sustainable Livelihood and Development which includes human rights, Labour, environmental protection, humanitarian response and other public goods. 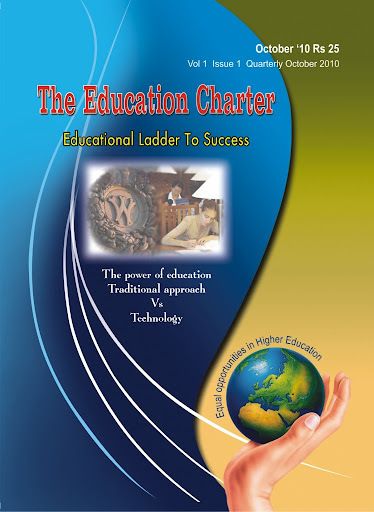 The Education Charter Initiative is the collective name for the diverse, global network of people, organizations, and institutions who participate in promoting the Education Charter, and in implementing its principles in practice. The Initiative is a broad-based, voluntary, civil society effort, but participants include leading international institutions, national government agencies, university associations, NGOs, cities, faith groups, and many well-known leaders in sustainable development. By signing this Charter we seek to promote further the values of Equality, accountability, Integrity, solidarity, Courage and Justice that we stand for, and commit our self to respecting its provisions. "The Education Charter International is endorsed and supported by more than 50000 citizens residing in more than 1550 cities of 162 Countries in the world" "